A few days ago, someone asked us how come we don't talk more about the hobby of watch collecting when our name is Watch Collecting Lifestyle. Since we see watch collecting as a journey and not a destination, we've limited how much we talk about the subject so that we don't end up being too redundant. However, in lieu of delivering more of what our readers want, we will start talking more about watch collecting and when possible share some interesting watch collections with you. While watch collections from celebrities, men in power and CEOs are fascinating, nothing is more exciting than to see those collections belonging to the average Joe —the guy next door—, the guy that we can relate to in our daily life and that we aspire to be like one day. While we've seen dozens of private watch collections worth talking about and showcasing right here on WCL, there are times when the collectors behind them prefer to remain outside of the public eye and will only allows us to share some pictures here and there without any disclosure of their identities or location. With a taste for Cuban cigars, fine writing instruments, bespoke bracelets and power rings, this father and son watch collection is well loved, respected and cared for and one you will for sure enjoy. 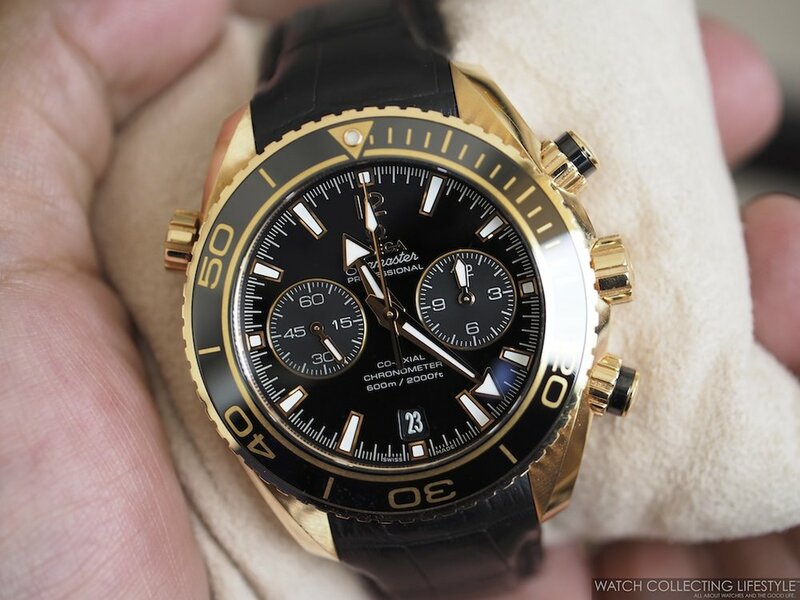 When it comes to having a well curated watch collection is all about the variety of brands, models, types of watches and value of the pieces in the collection. 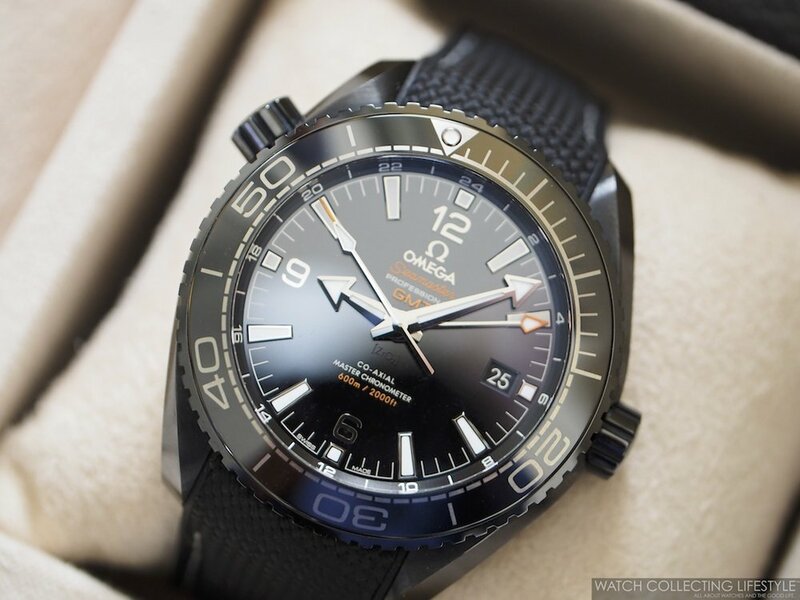 While savvy watch collectors are less about the price and more about the importance of certain watches from an horological standpoint, many others are all about the show-off aspect of it —not the case in this collection. 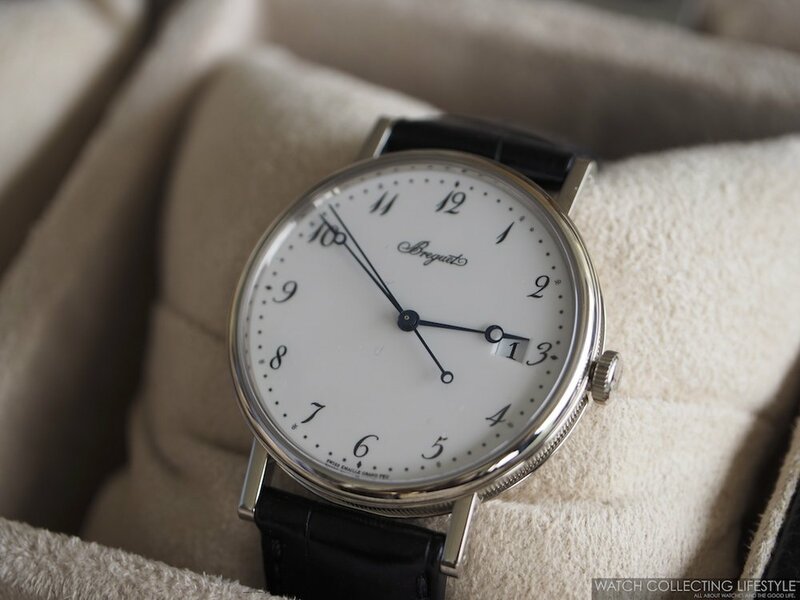 Now, the reason why we are bringing you this delightful watch collection today is not only because this is a very well curated watch collection, but also, because this father and son have allowed us to do so for the very first time. 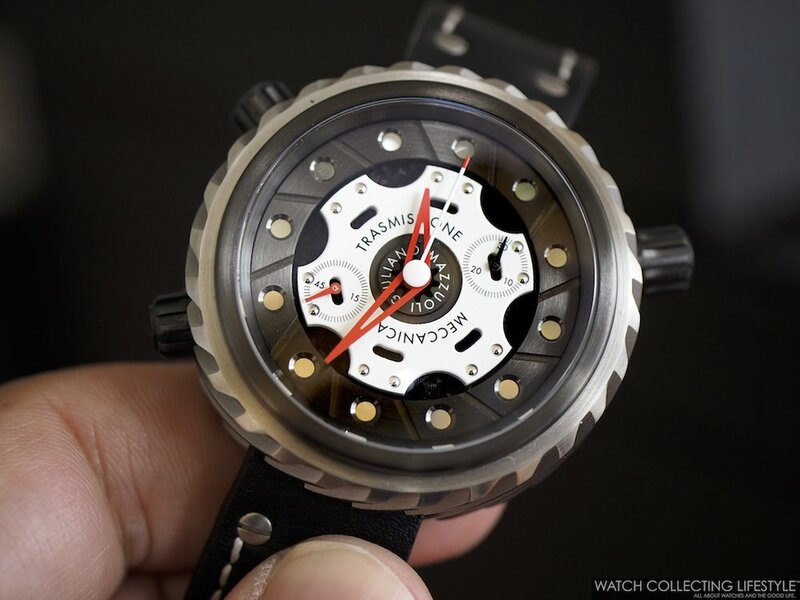 We feel honored we were selected by them to share this watch collection and put it out here for your viewing pleasure. Last month, we had the pleasure of visiting these fine gentlemen in their native Mexico City where we were treated just like family and allowed to peruse and enjoy more than fifty high-end luxury watches in their father and son's watch collection; unfortunately for us, another handful of their watches was stored elsewhere. 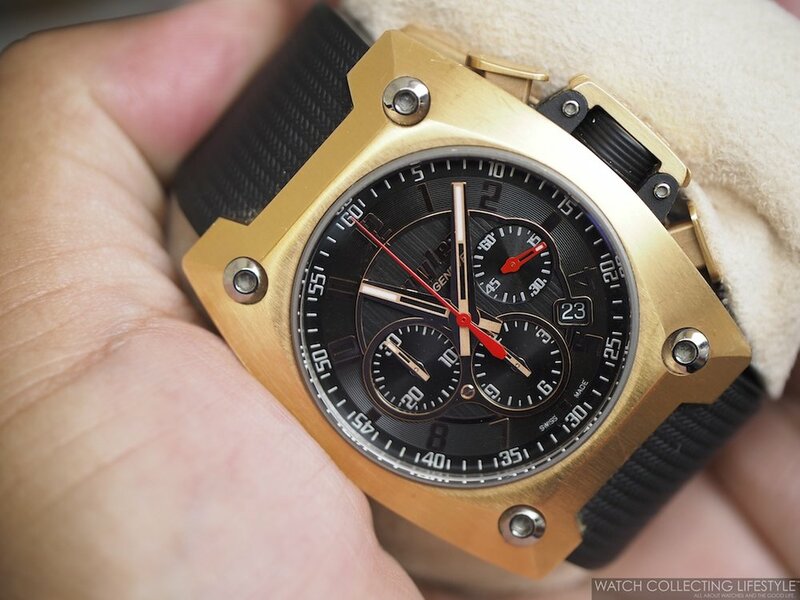 This collection that includes a little bit of everything, goes all the way from your typical Swatch watches to independent watchmaking pieces from HYT and Christophe Claret amongst others. While the bulk of their collection consists of a nice selection of different watches from Patek Philippe, Audemars Piguet, A. Lange & Söhne, Breguet, Richard Mille, Hublot, IWC, Chopard, Rolex, Cartier, Omega, Breitling, Corum, Jaeger-LeCoultre, Blancpain, Girard-Perregaux and Zenith, there is also a nice selection of independent watchmaking from Daniel Roth, Giuliano Mazzuoli and Romain Jerome, amongst others. 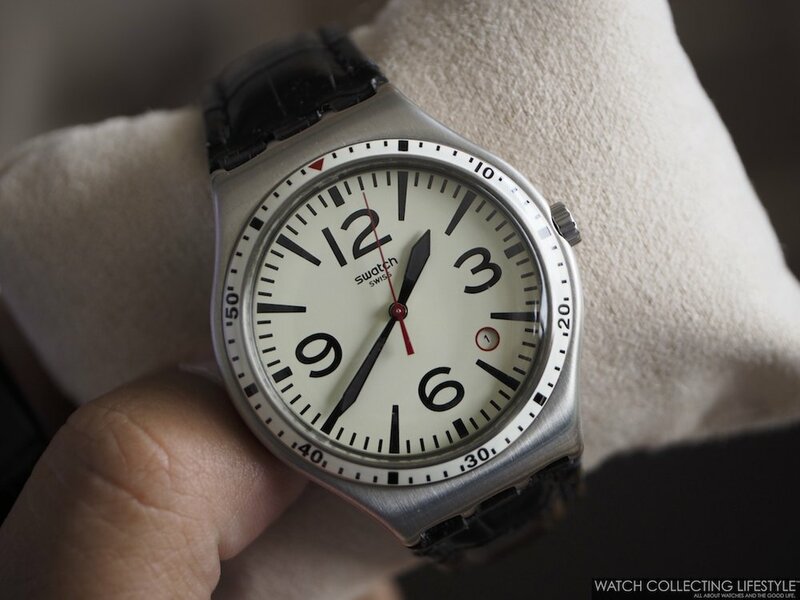 But, perhaps one of the things that we liked the most about documenting this watch collection, was the fact that we were welcomed by its owner in casual attire and wearing an extra-thin titanium Invicta Reserve watch —that honestly was quite nice. Right there at that very moment, we knew that this collection wasn't going to be about bragging or showing-off, but about substance and a true love for horology. Of course, later on, this Mexican collector switched to something more in line with the watches that we were about to peruse and put on his 18K rose gold Rolex Sky-Dweller ref. 326935. 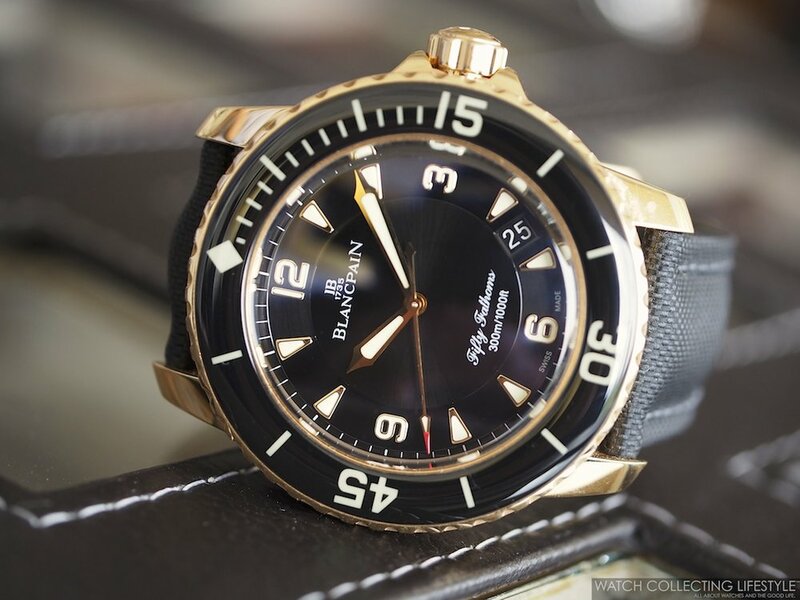 Now, let's have the images do the talking and make sure you pay close attention to the following watches that stand out within this very well curated collection. Note: the list below is in the same order as the images in the first gallery. 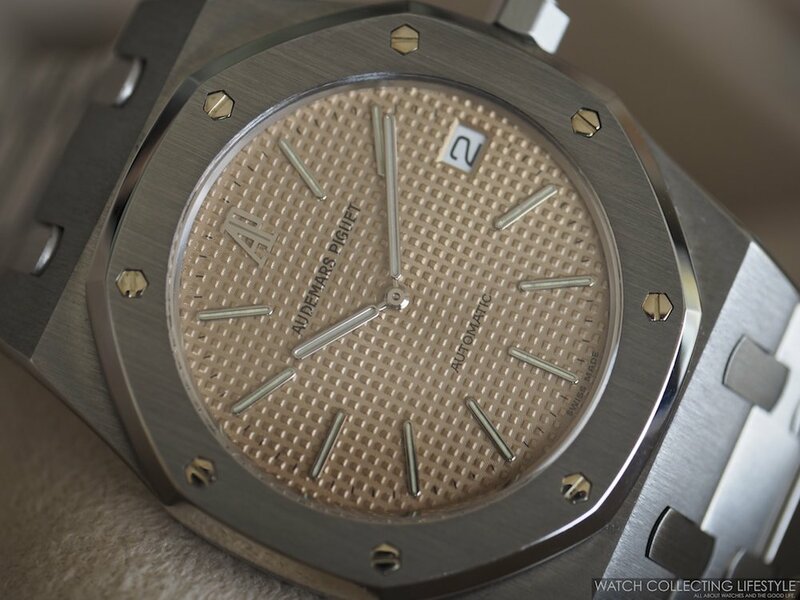 Audemars Piguet Royal Oak Jubilee ref. 14802 in stainless steel with salmon colored dial. 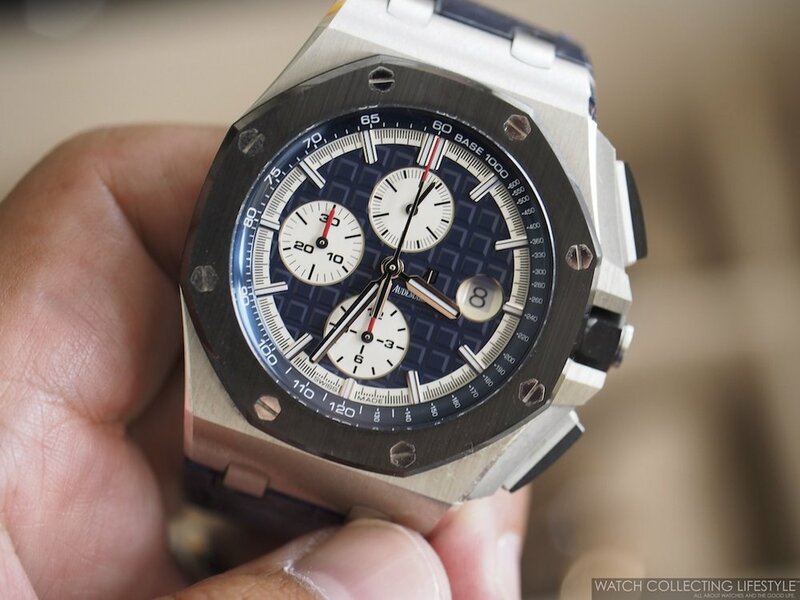 Audemars Piguet Royal Oak Offshore 44 mm ref. 26401PO in platinum with blue dial. 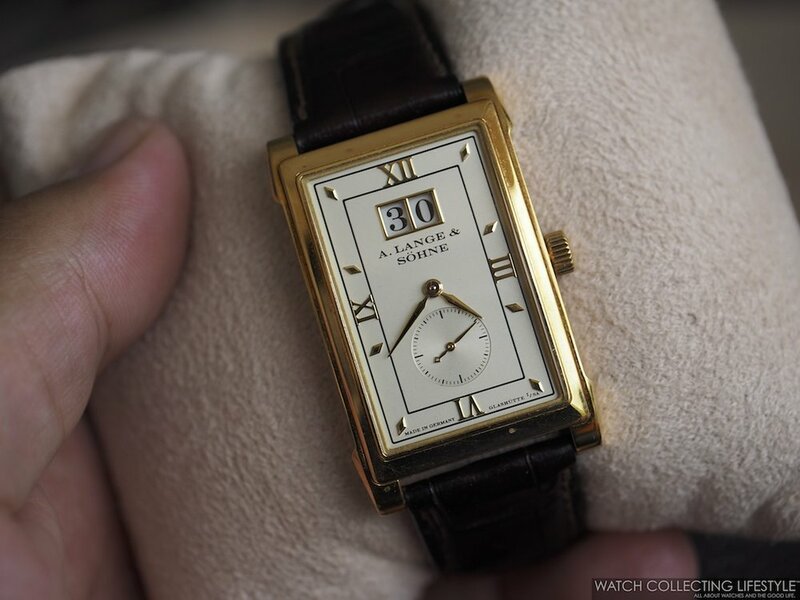 A. Lange & Söhne Cabaret Rectangular watch. 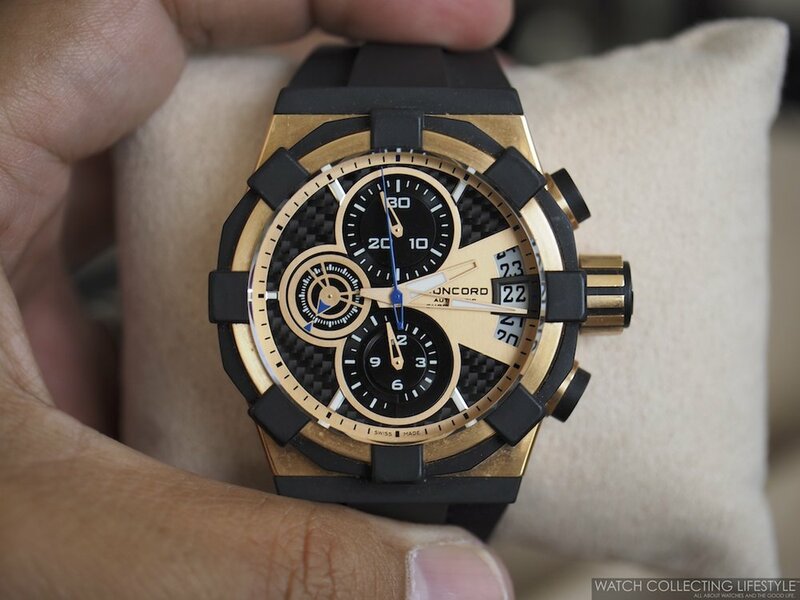 Christophe Claret Mecca with mirascope and rarely seen with a compass on strap. 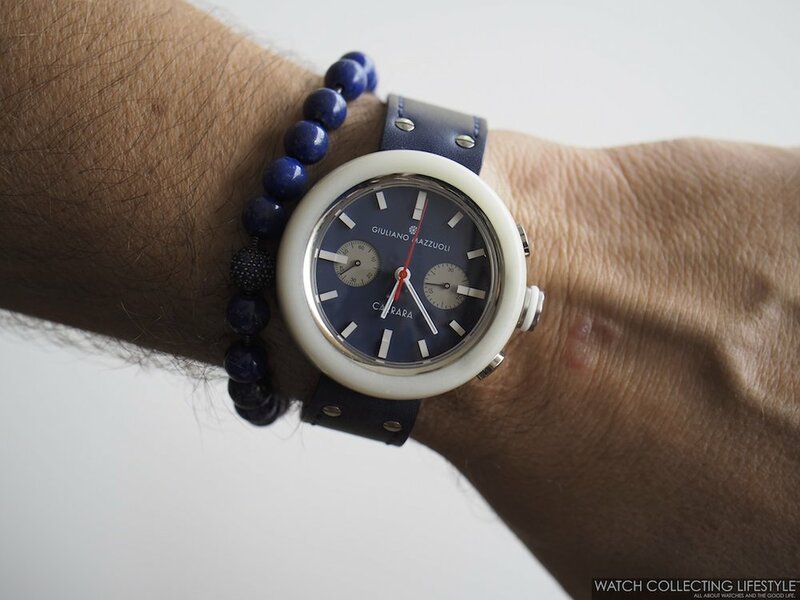 Daniel Roth's 50th Birthday watch. Giuliano Mazzuoli Carrara with a case made of Italian Carrara marble. 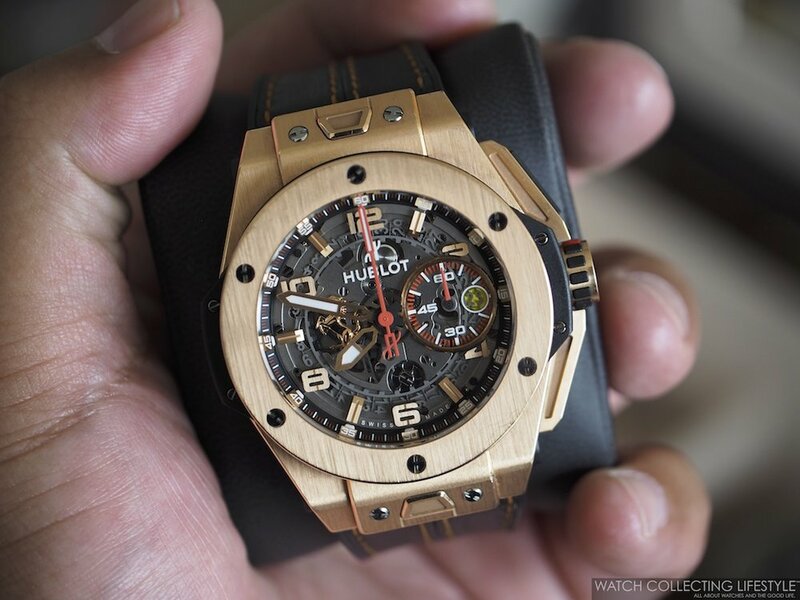 Hublot King Power 692 Bang limited to 26 pieces. Patek Philippe Annual Calendar Chronograph ref. 5960/1A-001. 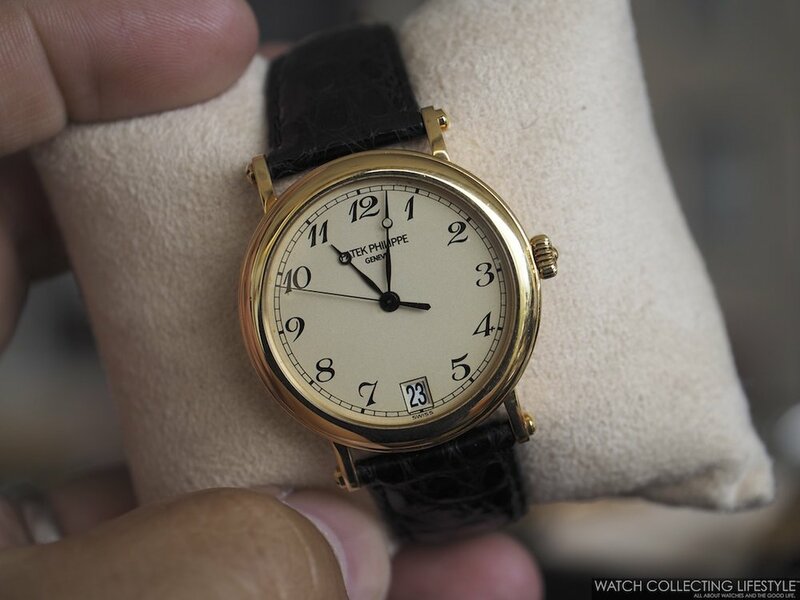 Patek Philippe Officer's Watch ref. 5053R with Breguet numerals. Patek Philippe Annual Calendar ref. 5035J. Rolex Cosmograph Daytona in Platinum ref. 116506 Ice Blue with baguette diamond dial. Rolex Submariner Date in 18K white gold ref. 16619LB with blue dial. 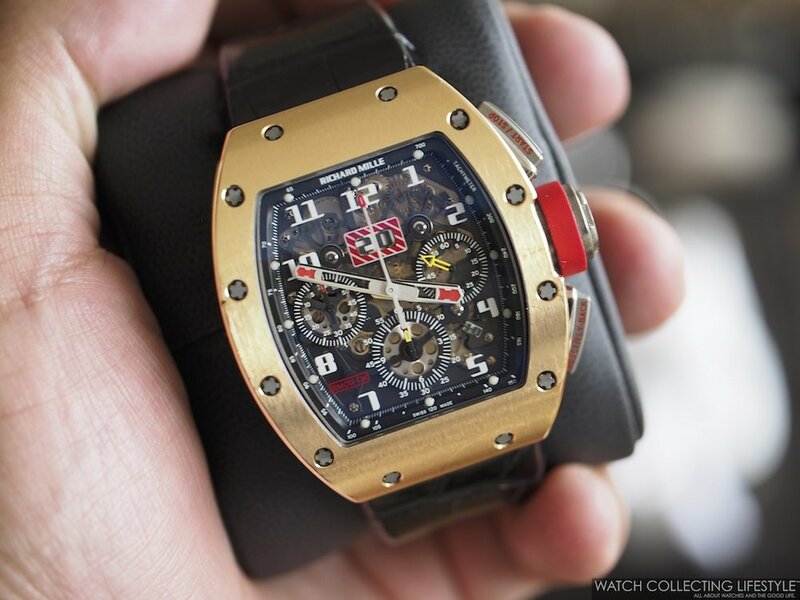 Richard Mille RM011 Felipe Massa Flyback Chronograph. 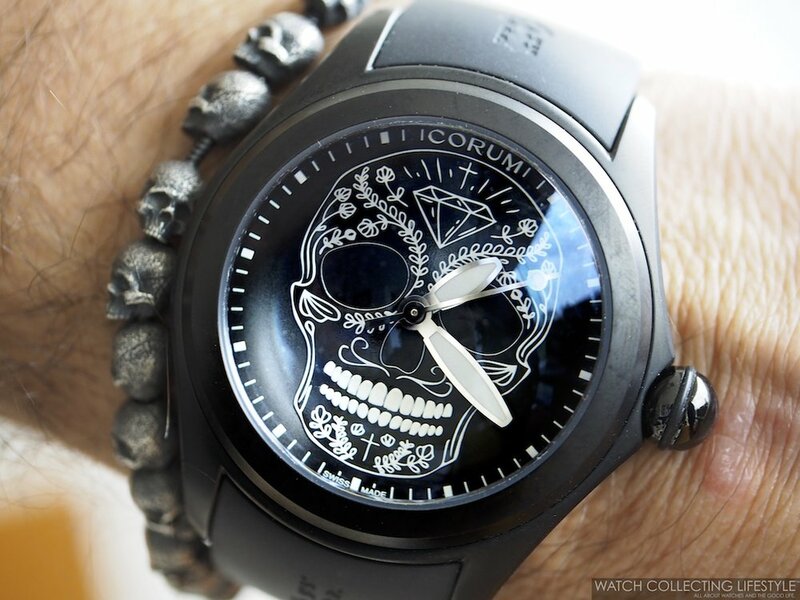 Ulysse Nardin Executive Tourbillon Skeleton. 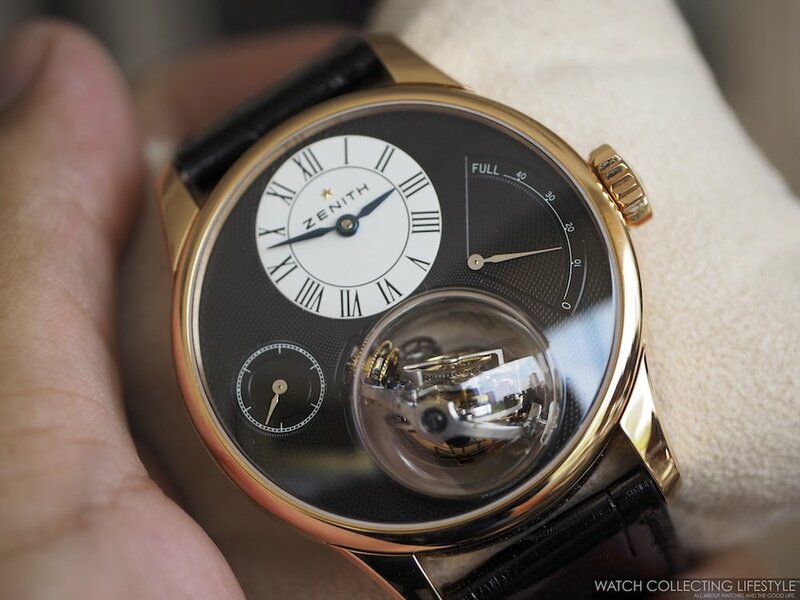 Zenith Academy Christophe Colomb with Gravity Control system. 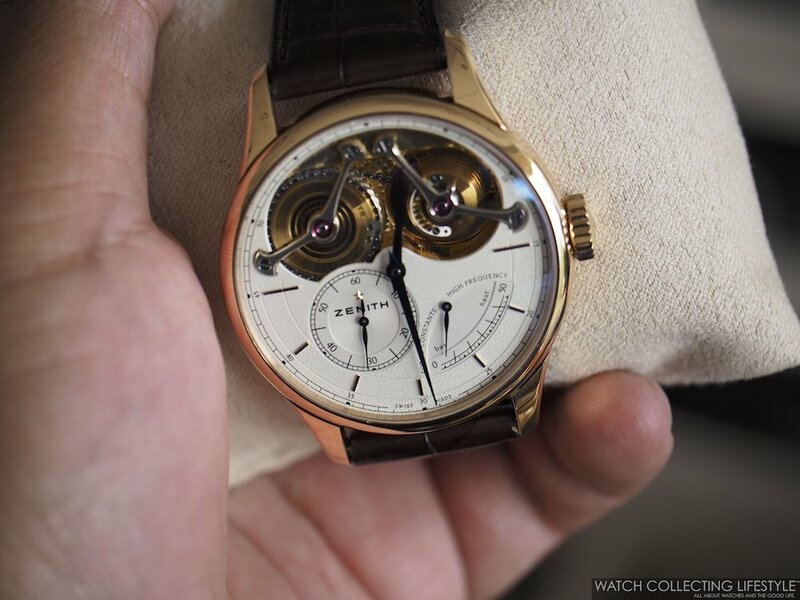 Zenith Academy George Favre-Jacot with constant force fusée and chain system. And of course, as expected from a watch collector in Mexico, the collection included many APs, Patek Nautilus, a ton of Rolexes and most watches were cased mostly in 18K rose gold or yellow gold with a few examples in platinum, in stainless steel and in stainless steel and gold. And just as all things come to an end, our memorable visit to check out this father and son's collection came to an end as the Wempe clock marked the time to head over for lunch. As we headed for a delicious meal at one of their favorite restaurants in Mexico City, we decided to take one last picture of an epic handful of APs before taking off. While for many, watches are mere commodities or simply luxury goods to show-off, to others, watches are magnificent creations that tell more than time. When you love horology for the right reasons, that passion comes through with every watch you put on your wrist and in the way you talk to others about them. Since there is no such thing as "my watch collection is now complete" and is all about the journey and not the destination, our friends of course asked us to let them try on the Audemars Piguet Royal Oak Extra-Thin ref. 15202OR on our wrist —to which we of course obliged— as this reference might very well be the next purchase for them. Without a doubt, these two Mexican gentlemen are collecting watches for the right reasons and are a perfect example of what Watch Collecting Lifestyle stands for: all about watches and the good life.